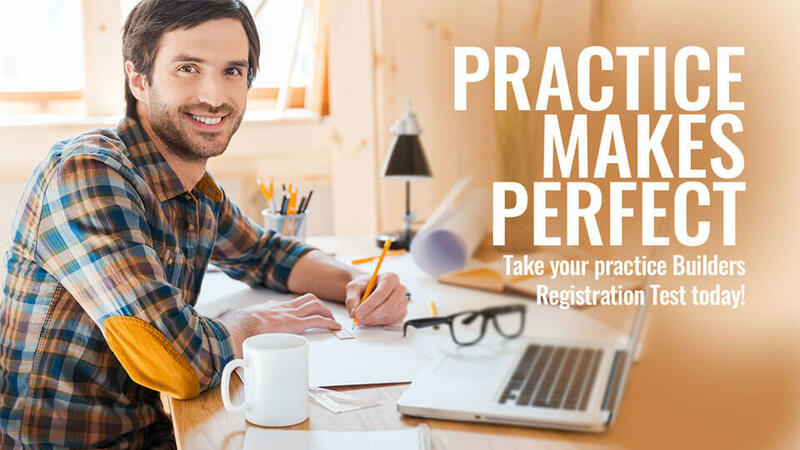 PRACTICE MAKES PERFECT THEY SAY … TAKE YOUR PRACTICE BUILDER REGISTRATION TEST TODAY! Real conditions, real questions, real smart investment. The questions are compiled from the Building Act, Regulations, NCCs, Australian Standards, OHS Act, OHS Regulations, Contracts Act and Security of Payments. We believe this is one of the best online tools to help you get comfortable and prepared for your Victorian Building Authority (VBA) MULTIPLE CHOICE TEST.